hjem » nyheder » A historical General Assembly for the IFMSA, for IMCC, and for me! A historical General Assembly for the IFMSA, for IMCC, and for me! This August meeting in Tanzania was in many ways a special one, both for IFMSA, for IMCC and definitely also for me. 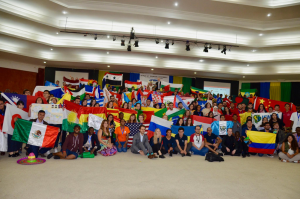 The 66th August Meeting General Assembly (GA) of the IFMSA was only the fourth time in the history of IFMSA that a Sub-Saharan member organization was the host of such a meeting. The journey to Tanzania started back at August meeting 2016 in Mexico. TAMSA, the Tanzanian member organization, applied to be host for August meeting 2017 (AM17). 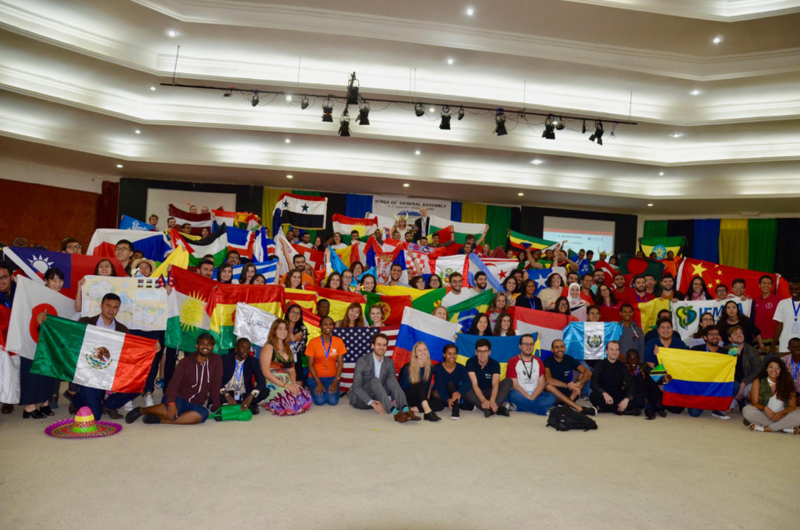 This was truly an amazing event for our federation, since the African region is often significantly underrepresented at international IFMSA meetings due to visa and financial barriers. Unfortunately, the candidature failed by one vote, with a considerable number of abstentions. A result we, in the Danish delegation, could not understand nor accept. In collaboration with the few African NMOs present in during the General Assemly in Mexico, we proposed a motion to reopen the voting and encouraged the National member organizations (NMOs) to reconsider. At this second round TAMSA Tanzania was selected as host of the 2017 August Meeting. And the August Meeting 2017 being held in Tanzania certainly did increase the global representation – in fact, this was the General Assembly with the highest number of NMO’s present! A historical GA for the IFMSA. For IMCC this was also a special GA – having the highest numbers of delegates at a meeting (21 to be exact) and having four generations of NMO presidents (Marie 2014, Monica 2015, Emmeli 2016 and Pelle 2017). IMCC was to be seen in all areas of this international meeting: we had two Danes in the IFMSA Executive Board, two IFMSA Program Coordinators, one Vice-Chairperson in the Plenary Team, six Pre-GA workshop coordinators, three non-medical-students – in all a truly amazing squad. IMCC was definitely noticed at this August meeting. For me personally this was also a very special GA. For the last two GAs we have been trying to get our partners to a meeting, and both times this has failed due to visa issues. Finally at this GA I had the opportunity to meet with my old friends from African countries, and get new ones. Only my Danish manners kept me from shouting of happiness, and disturbing the whole plenary, when one of my friends from Kenya approached me. During the GA we had a meeting with representatives from six different NMOs all active in partnerships with IMCC. Being in that circle, hearing about the impact the different projects contribute to in the various countries was absolutely magical. Shout out to all the partnership project groups: your work is amazing! The last thing I will mention from the meeting is a thing that I think is special for both the IFMSA, IMCC, and for myself. At the 2017 March Meeting in Montenegro IMCC together with AMSA Austria tried to change the bylaws of IFMSA in order to give non-medical-students the opportunity to run for some of the leadership positions in the IFMSA Team of Officials. This sadly failed. At this GA, a task force suggested to limited Assistant positions to only medical students. Until now all members of an NMO could run for such positions, furthermore according to IFMSAs bylaws, the NMOs can have 40% ‘non-medical students‘ as members. Luckily, this time more NMOs were on our side. We, the non-medical students present at the meeting wrote a statement which I had the honor of presenting during plenary. People who know me, know that I don’t get nervous – I like speaking in front of people, but this time my whole body was shaking. This was important to me. The feeling of joy when the amendment to allow non-medicals to run for these positions passed and the entire assembly responded with a standing ovation is difficult to describe. Non-medical students can still apply for assistant positions and I really hope that someone will. 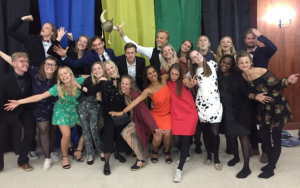 Kaldet til IFMSA’s International Assistants samt Program Coordinators er netop åbnet – se alle de ledige poster her (klik) og skriv til international@imcc.dk, hvis du vil høre mere eller er interesseret i at søge. DEADLINE ALLEREDE D. 29/8!